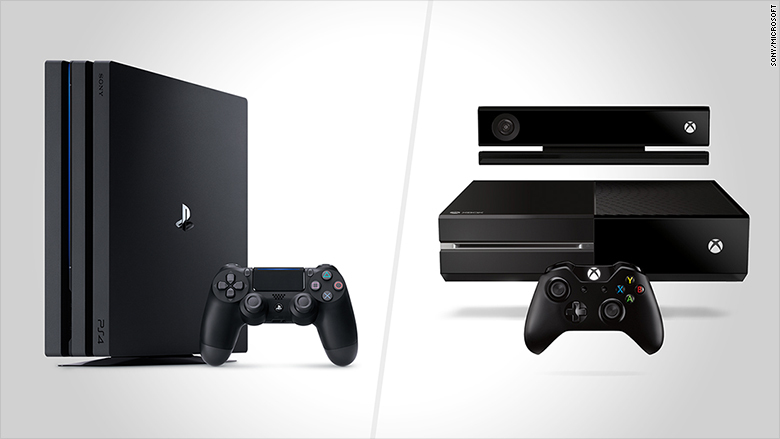 Before we get started, you might be wondering whether to buy a PlayStation 4 or Xbox One. Here's the truth: We're hesitant to recommend either. For the first time ever, both Sony and Microsoft are rolling out newer, more powerful versions of those consoles: The PS4 Pro is out now, while Microsoft is set to unveil "Project Scorpio" next year. It's not that we don't like either console -- but until we know how those new consoles will be supported with games and accessories, serious gamers may want to hold off for now. If you don't want to wait, both systems are evenly matched and start at $299. If you want exclusive Sony games like Uncharted, or if you're into VR, go PS4. If you want exclusive Microsoft games like Halo, spring for an Xbox One. But the biggest deciding factor should be dependent on what consoles your friends have. Playing online makes almost any game better; playing online with your friends is even better still. The best console is the one that'll allow you to get online with people you know, whichever console that may be.